Most of us think of February and think Valentines: cards, chocolates, romance, flowers. How many of us see it as an opportunity to love on ourselves and others in a lasting way? I believe the commercializing of this day has reduced our focus on its true meaning as we get caught up in a shopping frenzy that really amounts to very little left with us beyond the day itself. 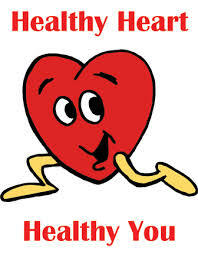 The American Heart Association (AHA) dedication of February as Heart Healthy Month gives us the opportunity to correct this wrong and create a lasting relationship between our bodies and ourselves. I like to think that people who are active are aware of the importance of the heart and the necessity of caring for it as well or even better than they care for the outward person. To think that the minute it stops beating, that it could be your last, is food for serious thought not just for the active person but for all of us. 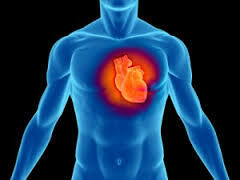 This month we are reminded of the number of deaths caused by heart disease, the number one cause of deaths in the US. According to the AHA, 1 in 3 americans die of this silent killer, more than all cancers combined. This should give us pause, cause us to consider among other things what we are doing to give to this unnaturally high rate. Put another way, how can we help reduce our risks and that of those we care for. 1. Don’t smoke. For years now we have known that smoking causes lung cancer. What some of us may not have known is that it contributes to many other types of cancers and chronic diseases such as coronary heart disease, as well. Smoking harms nearly every organ of the body and reduces the health of smokers in general (Center for Disease Control). 2. Exercise. The benefits of daily regular exercise cannot be overstated. Whether it’s running, aerobics, a cardio workout, whatever it is to keep you moving, breathing properly, sweating out toxins, burning unnecessary calories, generating good blood circulation and producing the endorphins and energy you need is good for your heart and good for you. Limiting red meat to no more than a few times a month and eating fish and poultry at least twice a week. Drinking red wine in moderation is optional. The diet also emphasizes enjoying meals with family and friends (Mayo Clinic). 4. Reduce Stress. Stress can influence the risk factors to many types of illness such as high blood pressure, over consumption of alcohol, smoking, physical inactivity, overeating. This can create havoc in your body resulting in all sorts of pain and ailments. Exercising, not smoking, reducing coffee intake,maintaining a positive outlook, a healthy diet and a healthy weight are good ways to deal with stress. 5. Educate and Empower yourself with the latest research and findings that has bearings for your health. Also share your knowledge with family and friends to encourage and empower them as well. Knowledge has no power if it remains in a box.